Douglas J. Shelton is a Fellow of the American Bar Association, an honor bestowed on less than one percent of lawyers in America, and is an award-winning attorney who has been practicing law for over 25 years. 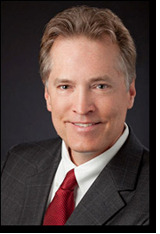 He was named an OKC Metro “Top Lawyer” in 2011. He has the Martindale-Hubbell AV–Preeminent rating - the highest Peer Review Rating given - based on ethical standards and professional excellence. He was named an Outstanding Young Man of America and has had numerous articles regarding litigation strategy published in the Oklahoma Bar Journal. Mr. Shelton presents numerous seminars to the legal and real estate communities regarding Construction Defect, Nursing Home Abuse, Insurance, and Real Estate Litigation. A native of Iowa, Mr. Shelton is a graduate of the University of Oklahoma and received his Juris Doctorate from the University of Oklahoma School of Law. He also studied at Oxford University in Oxford, England and the University of Salamanca in Salamanca, Spain. Mr. Shelton is a member of the Oklahoma Bar Association, where he has served on numerous committees, the American Association for Justice, the AAJ Nursing Home Litigation Group, the Oklahoma Association for Justice, the U.S. Court of Appeals for the Tenth Circuit, the Oklahoma County Bar Association and the Cleveland County Bar Association. He is a Fellow of the American Bar Foundation. The Fellows is an honorary organization of attorneys, judges, law faculty, and legal scholars who have been elected by their peers to become members of The Fellows. A Fellow must have demonstrated outstanding achievements and dedication to the welfare of their communities and to the highest principles of the legal profession. His areas of practice include Nursing Home Abuse, Construction Defect, Construction Law, Real Estate Issues, Insurance Issues, Personal Injury and Defective Products.